Hello Stranger is a dating show with a twist. Couple George and Lucy, who are looking to recapture the excitement of falling in love, meet hypnotist Aaron Calvert who makes them temporarily forget each other. They start dating again, including each other, but will they fall in love second time around? Hello Stranger, a new dating show with a twist for Channel 4, will give one couple the opportunity to meet each other again for the very first time. In this programme a couple at a crossroads in their relationship will see whether, when they meet as singles, they fall in love once more? 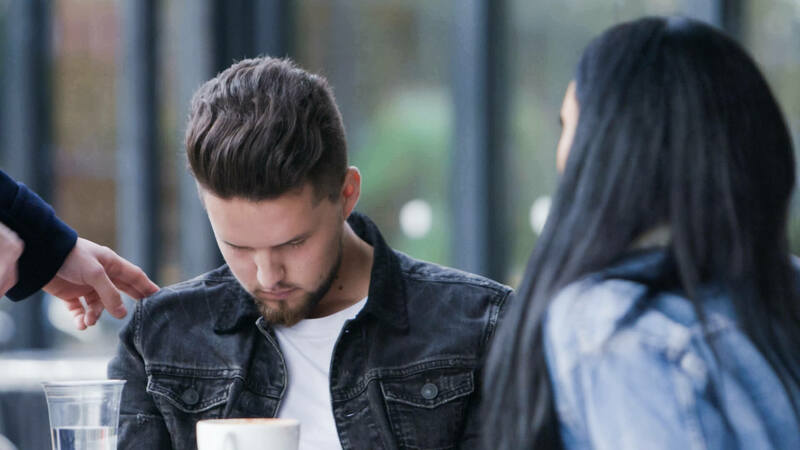 With no memories of their relationship, Lucy and George go out on dates with two other people who match what they are looking for in an ideal partner and on a first date with each other, as if for the first time, to find out whether they might fall in love all over again. Will sparks fly once more, or will Lucy and George find more chemistry with one of their new dates? This incredibly unique concept, made possible through Aaron’s unique hypnotic process, produces an exciting, funny and emotional show. It truly brings a much needed shake-up to the TV dating show genre. Want to be the first to know when Aaron’s next TV show airs or when he announces new tour dates? Subscribe to Aaron’s mailing list, we promise not to spam you it will only be the essential updates! 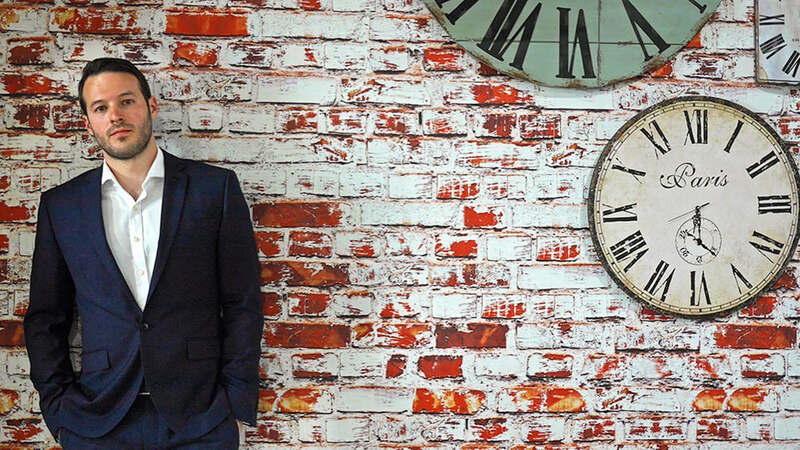 Originally trained as a doctor, Hello Stranger hypnotist Aaron Calvert traded his stethoscope for the stage. With sell-out theatre shows, 5 star critically acclaimed reviews and a natural charisma, it wasn’t long before this cheeky northerner started working with Channel 4. 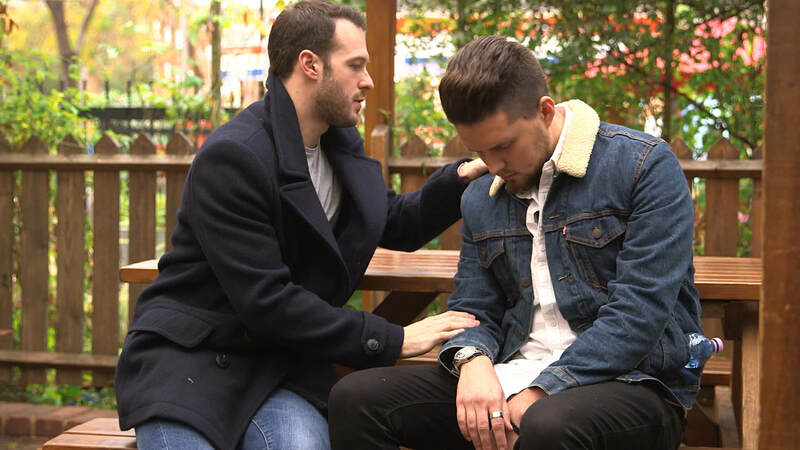 Aaron, along with show co-writer and director Sam Fitton, began working on Hello Stranger in 2016 to redefine the TV dating show genre to give it a much needed shake up. Aaron’s unique style of hypnosis, taken from his experience in stage entertainment and working as a doctor, lead to the success of the mammoth hypnotic task to temporarily erase the memories of a couple. 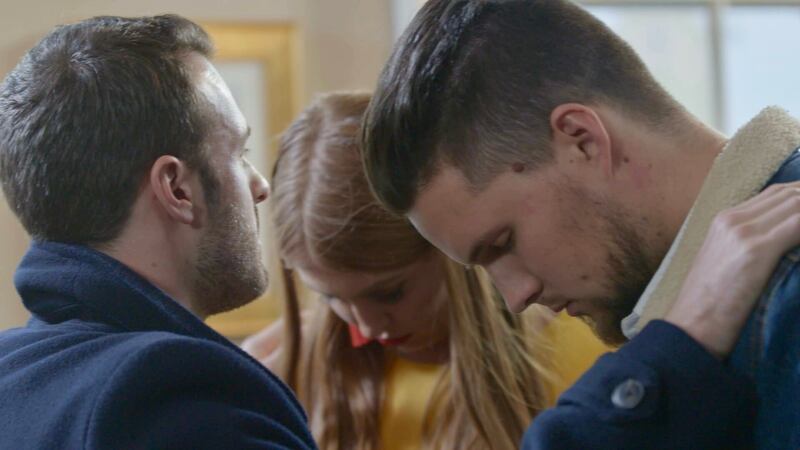 Working with Wall to Wall Productions, responsible for The Voice and Little Big Shots, and Channel 4 Hello Stranger is a twisted dating show that gives one couple the chance to truly meet again for the very first time. 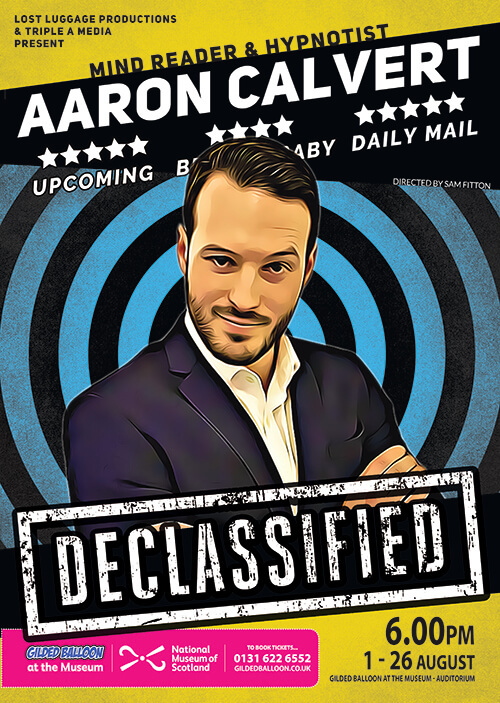 The pair will be returning to the Edinburgh Fringe Festival with a new live show in August 2018, Aaron Calvert: Declassified. What if all the stories you heard were true? Urban legends contained within declassified files are recreated live on stage by master hypnotist Aaron Calvert. Seeing really is believing. Sell-out shows 2016 & 17.